Soft, comfortable and safe! Foam insert for railways in gauge N. The wagons and locomotives are stored on the side. So you can recognize your favourite immediately. 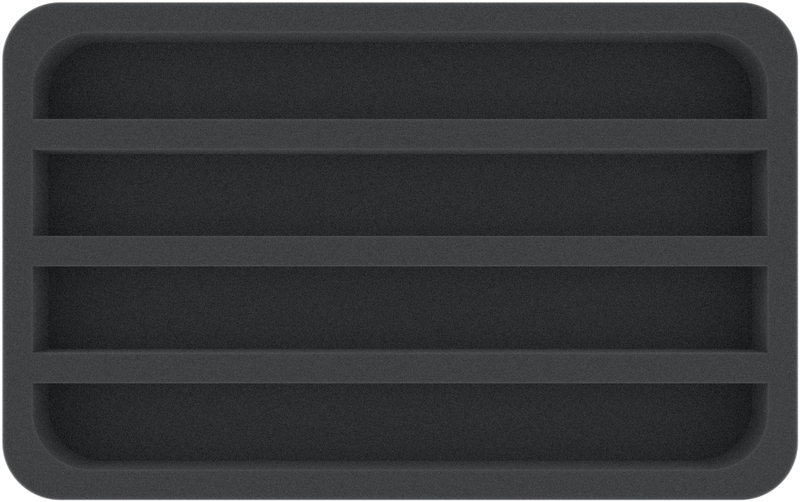 To store and transport the models reliably, we offer suitable foam spacers! This prevents the individual locomotives, wagons or vehicles from colliding during transport or the individual models from coupling up unintentionally. It is best to order a set of inexpensive spacers at the same time. 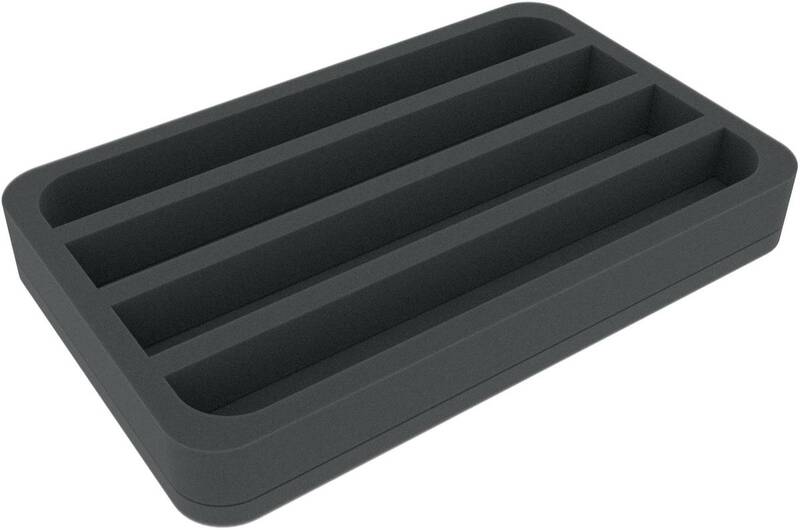 The foam tray has the dimensions: 275 mm x 172 mm x 35 mm total height (25 mm usable height + 10 mm foam base).